WASHINGTON (Reuters) - The nine justices of the U.S. Supreme Court are set to wade into contentious social matters in their new term beginning on Monday including affirmative action, union powers and voting rights, and could add major cases involving abortion and birth control. The court's work on those hot-button issues in its term that ends next June will unfold during a U.S. presidential campaign, meaning the justices could find themselves at the center of the political debate before the November 2016 election. The justices, five appointed by Republican presidents and four by Democrats, often divide along ideological and political lines on pressing social issues. The court's last term ended in June with rulings legalizing gay marriage nationwide and rejecting a conservative challenge to President Barack Obama's healthcare law, actions praised by liberals. But court observers expect the court's five conservatives to prevail in most of the big, closely divided cases this term. They say that unlike in the gay-marriage and Obamacare rulings, the conservative bloc is less likely to lose the court's regular swing vote, Justice Anthony Kennedy, on cases involving race, unions and voting. In a major battle over the future of affirmative action in college admissions, the justices for a second time will consider a lawsuit brought by Abigail Fisher, a white applicant who was denied admission to the entering class of 2008 at the University of Texas at Austin. Affirmative action is a policy under which racial minorities historically subjected to discrimination are given certain preferences in education and employment. 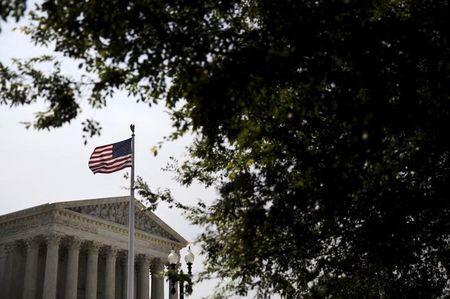 The justices also will hear a case brought by conservatives that could weaken public sector unions, a challenge by nonunion public school teachers who say California's requirement that they pay the equivalent of union dues violates their free speech rights. Some teachers object to the decades-old practice of allowing public-sector unions to collect fees, as long as this money does not get spent on political activities, from workers who do not want union representation. Republicans often take aim at public and private sector unions, which generally align with Democrats. In the Texas case, the justices will decide whether urban, often Hispanic voters get too much voting power because of the way state legislative districts are drawn in a case that could end up giving more clout to rural Republican voters. The Supreme Court has not ruled on abortion since 2007 but that could change this term. This fall, the justices are due to decide whether to hear a challenge to a Republican-backed Texas law restricting abortion access that abortion providers contend is aimed more at shutting clinics than protecting women's health. The justices also will decide whether to rule on religious objections to the requirement for contraception coverage under Obama's healthcare law. They also may get a chance to weigh in on Obama's executive actions, opposed by conservatives, aimed at shielding millions of illegal immigrants from deportation. It is less certain whether the fight over the Obama's immigration actions will reach the court in time for it to be decided in the current term. A series of conservative rulings in the new term could play into the hands of Democrats come election time, according to American Enterprise Institute scholar Norman Ornstein. "Whenever you get a series of rulings that go against you, it will get people more charged up," Ornstein said. The justices maintain they are not beholden to political sentiment. John Roberts, in an interview early in his tenure as chief justice, told C-SPAN, "I think the most important thing for the public to understand is that we are not a political branch of government. They don't elect us. If they don't like what we're doing, it's more or less just too bad."